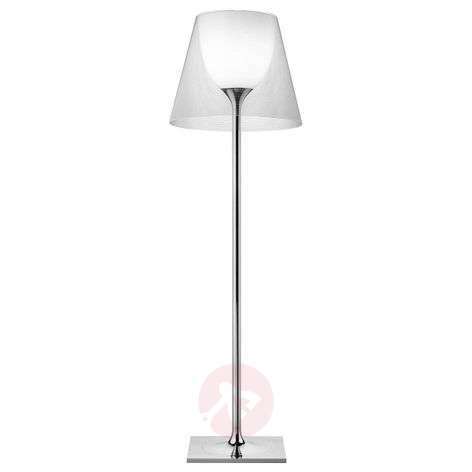 KTRIBE K3 is a floor lamp, designed by Philippe Starck, which impresses due to an exceedingly modern appearance and sets special standards as far as design is concerned. The outer shape of the shade and frame are classical, for which very modern materials, polycarbonate and PMMA, were selected. The use of a second, inner screen can however be considered innovative. 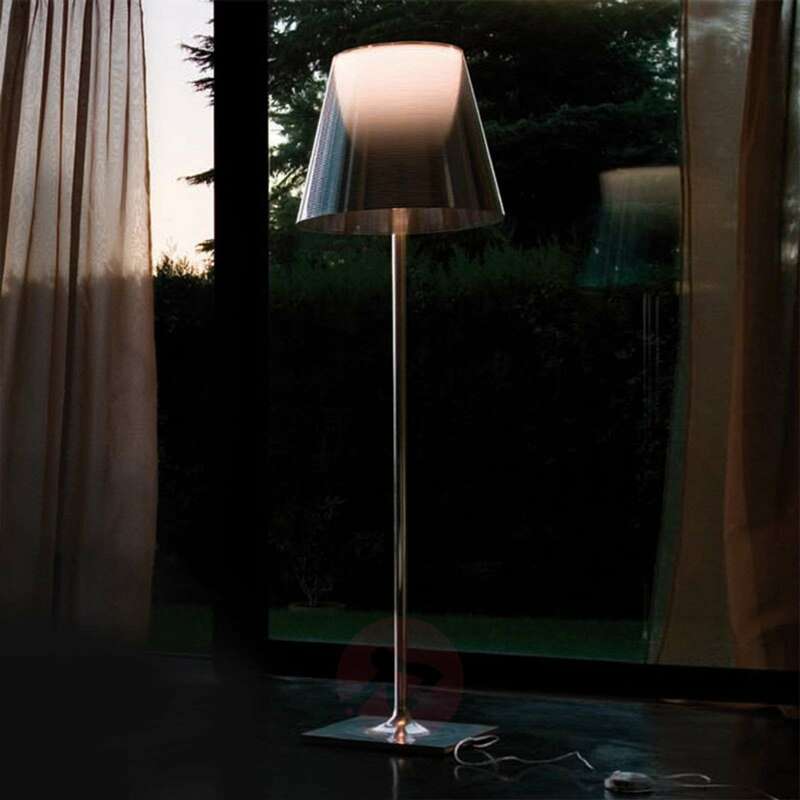 It consists of translucent, white polycarbonate and presents itself in a rounded shape. 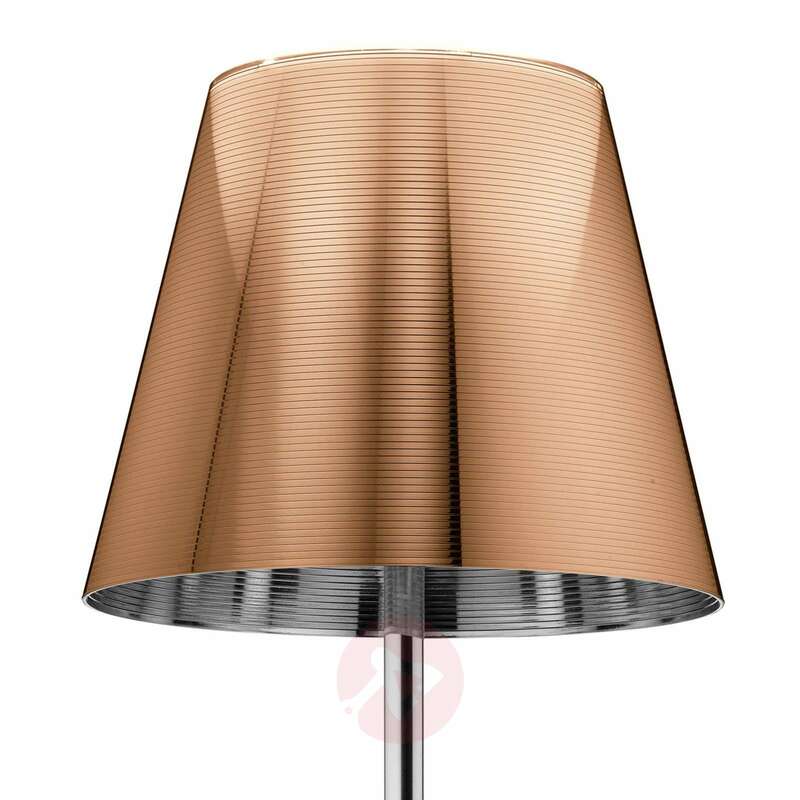 In two of the three available versions, this can only be recognised marginally, as the outer shade here is silver or bronze-coloured coated aluminium and is only really translucent in the upper section. 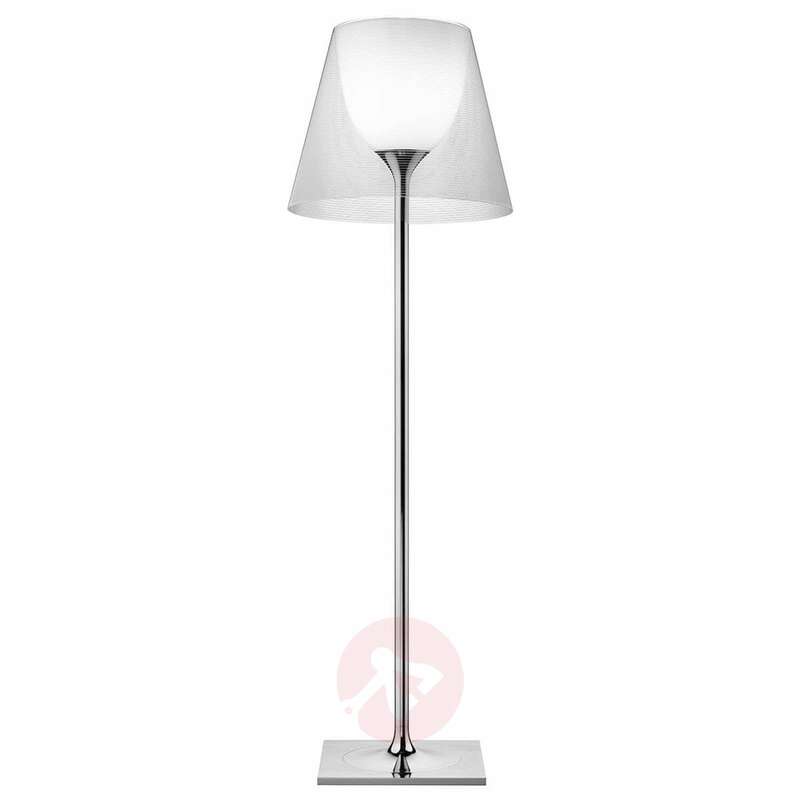 So the light is mainly emitted downwards and contributes to a mood-filled atmosphere, naturally not without enhancing the overall room with the modern presence of the designer floor lamp. 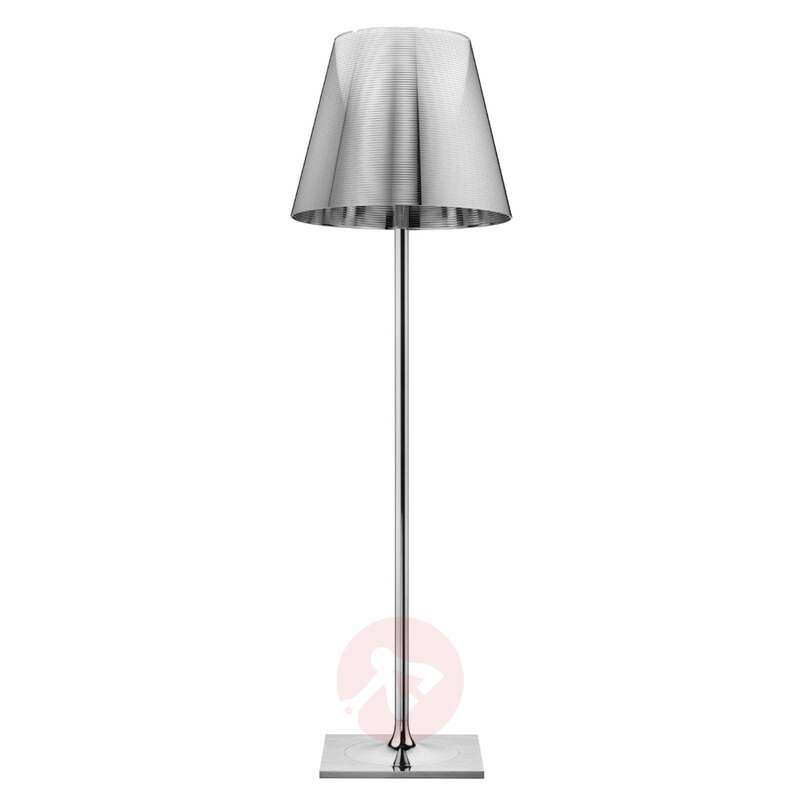 In the other version of the floor lamp with a large transparent outer shade except for a few lines which is no less attractive but has a much clearer and reduced appearance, one sees the complete inner shade, which causes the room to be illuminated evenly.